A powerful guide for seeking out the best acquisition and merger targets. Chapter 1: Introduction to Mergers and Acquisitions. Economic Classifications of Mergers and Acquisitions. Regulatory Framework of Mergers and Acquisitions. Reasoning for Mergers and Acquisitions. Case Study: Lessons from the Failures of the Fourth Merger Wave. 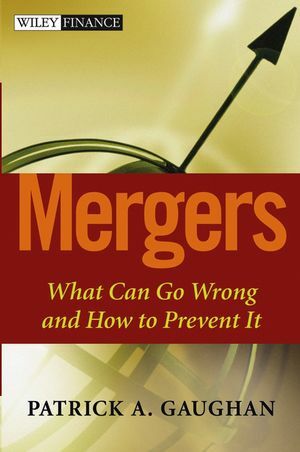 Chapter 2: Merger Strategy: Why Do Firms Merge? Examples of Growth as an Inappropriate Goal. Using M&As to Achieve Growth. M&As in a Slow-Growth Industry as a Way to Achieve Growth. Merger Gains: Operating Synergy or Revenue Enhancements—Case of Banking Industry. Winner’s Curse and the Hubris Hypothesis. Diversification that Does Seem to Work Better: Related Diversification. Merging to Achieve Greater Market Power. Do Firms Really Merge to Achieve Market Power? Merging to Achieve the Benefits of Vertical Integration. Special Cases of Mergers Motivated by Specific Needs. Chapter 3: Merger Success Research. Criteria for Defining Merger Success Using Research Studies. Initial Comment on Merger Research Studies. Mergers of Equals: Acquirers versus Target Gains. Firm Size and Acquisition Gains. Long- versus Short-Term Performance and Method of Payment. Bidder Long-Term Effects: Methods of Payment. Bidder’s Performance Over the Fifth Merger Wave. Case Study: Montana Power—Moving into Unfamiliar Areas. Chapter 4: Valuation and Overpaying. Valuation: Part Science and Part Art. Valuation: Buyer versus Seller’s Perspective. Synergy, Valuation, and the Discount Rate. Financial Synergies and the Discount Rate. Toe Holds and Bidding Contests. Overpaying and Fraudulent Seller Financials. Postmerger Integration Costs—Hard Costs to Measure. Case Study: AOL Time Warner. Chapter 5: Corporate Governance: Part of the Solution. Managerial Compensation and Firm Size. Managerial Compensation, Mergers, and Takeovers. Disciplinary Takeovers, Company Performance, and CEOs and Boards. Managerial and Director Voting Power and Takeovers. Shareholder Wealth Effects of Mergers and Acquisitions and Corporation Acquisition Decisions. Post-Acquisitions Performance and Executive Compensation. Lessons from the Hewlett-Packard–Compaq Merger: Shareholders Lose, CEOs Gain. Do Boards Reward CEOs for Initiating Acquisitions and Mergers? Corporate Governance and Mergers of Equals. Antitakeover Measures and Corporate Governance. Chapter 6: Reversing the Error: Sell-Offs and Other Restructurings. Decision: Retain or Sell Off. Shareholder Wealth Effects of Sell-Offs. Rationale for a Positive Stock Price Reaction to Sell-Offs. Wealth Effects of Voluntary Defensive Sell-Offs. Wealth Effects of Involuntary Sell-Offs. Financial Benefits for Buyers of Sold-Off Entities. Shareholder Wealth Effects of Spin-Offs. Equity Carve-Outs Are Different from Other Public Offerings. Shareholder Wealth Effects of Equity Carve-Outs. Under Which Situations Should a Company Do a Spin-Off versus an Equity Carve-Out? Shareholder Wealth Effects of Tracking Stock Issuances. Chapter 7: Joint Ventures and Strategic Alliances: Alternatives to Mergers and Acquisitions. Comparing Strategic Alliances and Joint Ventures with Mergers and Acquisitions. Shareholder Wealth Effects of Joint Ventures. Shareholder Wealth Effects by Type of Venture. Potential Problems with Joint Ventures. Shareholder Wealth Effects of Strategic Alliances. Shareholder Wealth Effects by Type of Alliance. What Determines the Success of Strategic Alliances? Potential for Conflicts with Joint Ventures and Strategic Alliances. Cross Stock Holdings as Conflict Insurance.